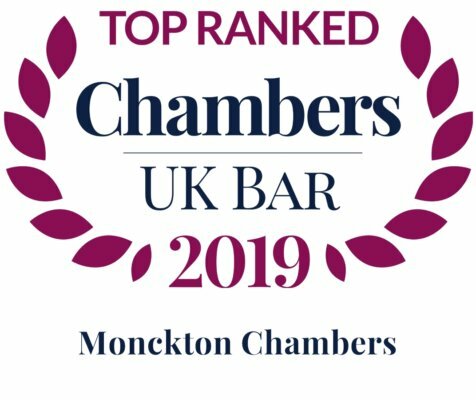 Home / News / Who’s Who Legal UK Bar 2019 – Monckton Chambers in top eight leading sets and members recognised for nine practice areas. 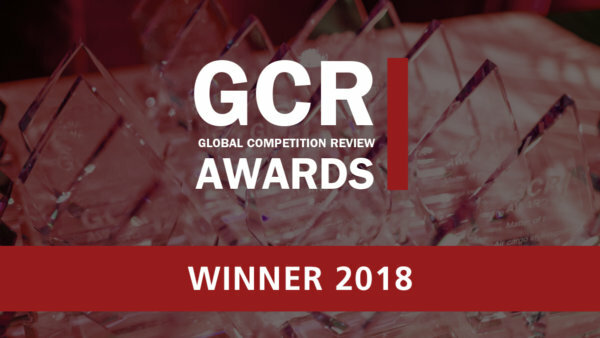 Monckton Chambers’ Thomas Sebastian receives much applause for his “excellent drafting and industry knowledge” with respondents describing him as “a leading practitioner in public international law and WTO matters”. Monckton Chambers performs highly this year in the competition rankings, with 11 silks listed. Four of those silks are recognised in “Most Highly Regarded” table of just five Silks: Daniel Beard QC, Josh Holmes QC, Jon Turner QC and George Peretz QC . Rob Williams is one of only two Juniors awarded the same accolade. Daniel Beard QC is one of the foremost competition silks at the Bar who is described as “a brilliant technician, a very talented advocate and fantastic in court”. Josh Holmes QC draws acclaim from respondents as “a highly skilled, personable, thorough and clever barrister” and “one of the very best as the bar”. He is well versed in competition regulations pertaining to the communications, energy and financial services sectors. Tim Ward QC is a “thorough, knowledgeable and highly personable” advocate who excels on cartel, damages and judicial review proceedings. Jon Turner QC is “a real star at the bar and a very established name” say sources who applaud his “razor-sharp intellect” and praise his “astonishing mastery of any case he takes”. Mark Brealey QC ranks highly this year for his extensive experience appearing before English and Welsh courts, as well as the Competition Appeal Tribunal and the Court of Justice of the European Union. Kassie Smith QC is an “extremely good barrister” and “a real team player”, say sources. She stands out for her extensive experience handling competition-related matters. Meredith Pickford QC is held in high regard by peers as “a tireless and skilled advocate” who is “a tremendous asset to any team”. He is particularly experienced in matters pertaining to the telecommunications sector. Paul Harris QC receives recognition from respondents as “a very strong advocate in court” and “a standout on sports-related issues”. Ronit Kreisberger QC is “rated very highly indeed” by instructing solicitors who “recommend her for pharma sector matters in particular”. Monckton Chambers achieves eight listings for its juniors this year. Rob Williams is distinguished as one of the leading competition juniors at the bar. He is described as “insightful, approachable, thorough and a joy to work with”. Anneli Howard is applauded by market commentators, who “rate her very highly indeed” as a competition specialist. Her practice encompasses a wide range of competition matters, including abuse of dominance, state aid and cartel matters. Ben Rayment draws acclaim from peers as “a brilliant and dependable practitioner in the field”. He has over 20 years of experience in cartels, state aid, abuse of dominance and merger investigation matters. Alan Bates has significant expertise in acting for or against major economic regulators in the EU in relation to complex competition damages claims cases. Ligia Osepciu is “a hard-working and clever advocate” whose practice spans state aid and damages claims matters before domestic and EU courts for clients in the technology and energy sectors. Monckton Chambers has two leading figures recognised. Melanie Hall QC is a well-known silk in the field who excels in VAT matters, EU law and complex corporate tax litigation. Valentina Sloane QC is “a highly persuasive advocate” say peers who commend her impressive practice. She appears in domestic and international courts on high-value tax disputes. Gerry Facenna QC at Monckton Chambers has considerable experience representing private and public sector clients as well as individuals and campaign groups on waste management, air quality and noise pollution matters. 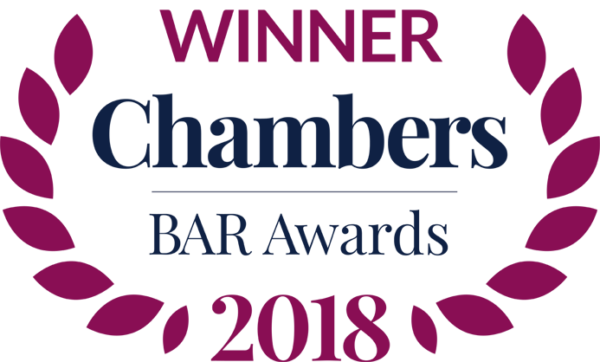 Monckton Chambers sees three lawyers recognised for their work in the field. Michael Bowsher QC and Ewan West appear in the “Most Highly Regarded” table. Michael Bowsher QC is “extremely knowledgeable” in government contracts matters. He is a key name in the field, and is highlighted as “very bright” and strong on procurement matters. Philip Moser QC is recognised for his superb practice and is considered a leading lawyer in the public procurement space. One source notes that “many would go straight to Philip” for government contracts matters. Valentina Sloane QC is also recognised for her considerable experience handling complex public contracts matters relating to EU procurement Monckton Chambers performs very well in this year’s research with six juniors listed. Ewan West is a highly experienced government contracts junior who is highlighted as an expert in advising on commercial solutions to procurement issues. Rob Williams is an “extremely knowledgeable” government contracts junior who stands out for his excellent work advising contractors, public authorities and utilities companies. Anneliese Blackwood’s work in the field of government contracts is “outstanding” say peers. She is a key name in the field, and has appeared before the Supreme Court and the Court of Appeal. Fiona Banks is recognised for her superb government contracts practice. One source remarks that she has “in-depth legal knowledge combined with analytical skills, and the ability to crystallise complicated arguments into clear and sensible advice”. Ben Rayment draws high praise from market sources who consider him “intellectually very astute, knowledgeable, approachable and pragmatic”. Paul Harris QC at Monckton Chambers is “hugely well regarded” in the sports space. He is described by peers as “a very bright and strong advocate”, and wins praise for his work on arbitration and litigation proceedings. Fiona Banks at Monckton Chambers “always inspires utter confidence in her knowledge, approach and work” say peers who commend her “clarity of thought and pragmatism”. 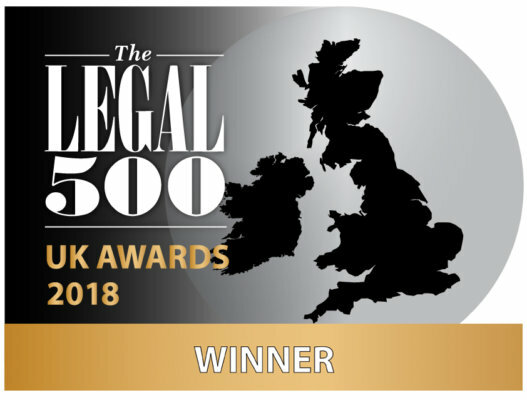 Monckton Chambers also performs strongly this year, with six of its silks listed for their excellent work in the sector. Daniel Beard QC, Josh Holmes QC and Jon Turner QC are recognised in “Most Highly Regarded” table of just five Silks. Stefan Kuppen is one of only two Juniors awarded the same accolade. Daniel Beard QC is singled out as one of the Bar’s leading lights when it comes to telecoms. Respondents effuse that “clients love him and his ability to turn around a losing point in court”. Josh Holmes QC is “a true gentleman of the bar with a near-unrivalled knowledge of the area”. His speciality lies in competition law and regulation of the EU and the UK. Jon Turner QC draws high praise from peers who note he is “unflappable in court, which reflects the many hours of preparation he devotes to the case”. Meredith Pickford QC is a highly regarded name at the UK bar, whose expertise lies in competition and regulatory law before the UK courts and the EU Commission.Monckton Chambers sees five juniors recognised for their impressive work in the telecoms field. Stefan Kuppen is “an incredibly bright barrister, who is imaginative and great with clients”, say peers. He is well versed in competition and regulatory matters pertaining to the telecoms sector. Alan Bates is “very much in demand” for his impressive expertise in telecoms disputes, which spans related regulatory and competition law matters. Anneli Howard is held in high esteem by sources who say “her reputation precedes her as an outstanding barrister in the field”. She has nearly two decades of experience in regulatory and competition disputes before EU and UK courts and authorities. Fiona Banks is “an excellent barrister in the field” who is well versed in acting for telecoms providers and regulators in a range of tribunal and court proceedings. Ligia Osepciu also gains recognition in this chapter for her excellent work handling a range of telecommunications and regulatory disputes.